Hold scarves, jackets, sarongs and more in place without damaging the fabric. Maggies clothing magnets fasten fabric with a super-strong magnetic ball and a washer. This Combo Pack adds “Fashion Plates” that cover the magnet, turning it into a gold or silver button-like accessory that you can show off on cuffs, hems, or anywhere else. 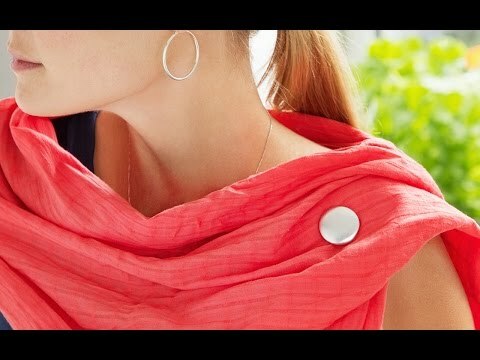 Designed to hold several layers together easily with Maggies fashion "buttons"
Works like a pin with no pinholes! This is a nice product. It works as advertised. I gave these to my sister in law and she loved them! She wears lots of scarves and shawls, and she says these will be perfect.